It’s 2018 and a long way from our humble beginnings as Mr. Christmas tree! While Mr. Christmas Tree and all other manner of fun holiday trappings have their place and bring immense joy and fun to the holiday season, looking back over almost 40 years of entertainment in Houston and entering into a new year is a perfect time to reflect on how far we’ve come and where the future of entertainment is headed. The holiday season has always been a busy time at Marshall Maxwell Entertainment Agency – Marshall has been known to joke to his friends around November, “See you in January!” From booking bands, DJ’s, and musicians for private and corporate parties, orchestrating and arranging new music for concerts and church masses, to live entertainment such as Santa and Mrs. Claus with their elves and, yes, the Mr. Christmas Tree, the holidays are filled with music, laughter, and surprises! Nothing inspires us more than hearing our clients’ needs and then finding ways to go above and beyond their expectations! 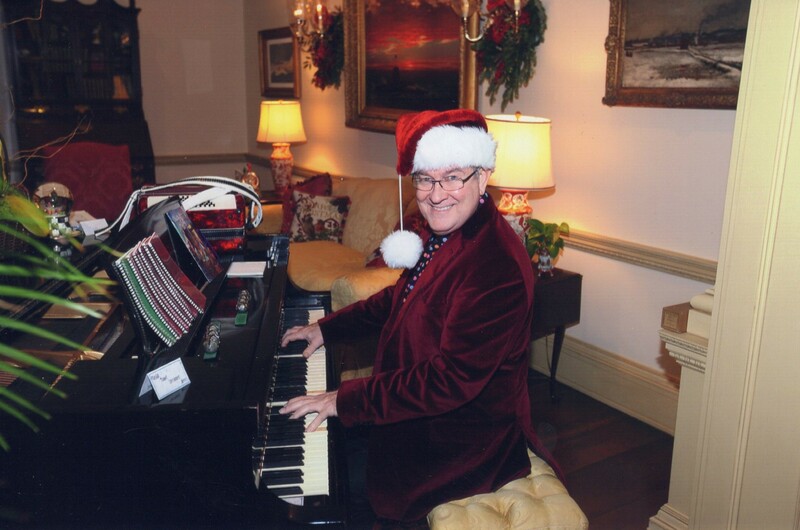 One of our favorite parties of “Christmases Past” was at the stunning River Oaks home of Tilman Fertitta, a Houston legend and the “World’s Richest Restaurateur” according to Forbes; he is also owner of the Houston Rockets, and star of Billion Dollar Buyer on CNBC. The party benefitted the M.D. Anderson Santa’s Elves 2013 fundraiser and had an attendance of over 250 merry gentlemen (and women)! 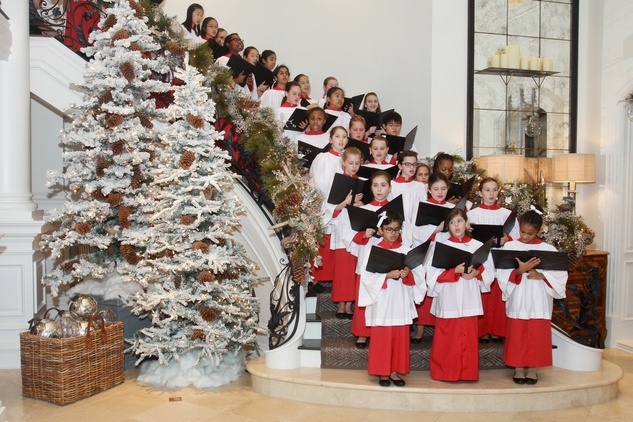 Along with the beloved Mr. Christmas Tree playing holiday tunes, the Houston Children’s Chorus directed by Stephen Roddy made the event unforgettable. Of course, not every holiday party requires the budget of a “Billion Dollar Buyer“, and part of the magic of what we do at Marshall Maxwell Entertainment Agency is fitting the perfect performer to the needs of our client. For example, this clip of soprano Rebecca Heath‘s “O Holy Night” accompanied by accordion, seems to radiate the warm glow of good will at this cozy Christmas Party. This year, we have a lot of updates, exciting ideas, and announcements, so be sure to check in here on our website, blog, and social media for the most current MMEA news! As technology and clients’ needs change, we are changing too, but always with an eye on our history and our priorities firmly focused on professional excellence and customer satisfaction. Follow us on Facebook @MMEAHouston, Instagram @marshallmaxwellentertainment and subscribe to Marshall Maxwell Entertainment Agency on YouTube so you’ll be the first to watch new videos and artist spotlights! 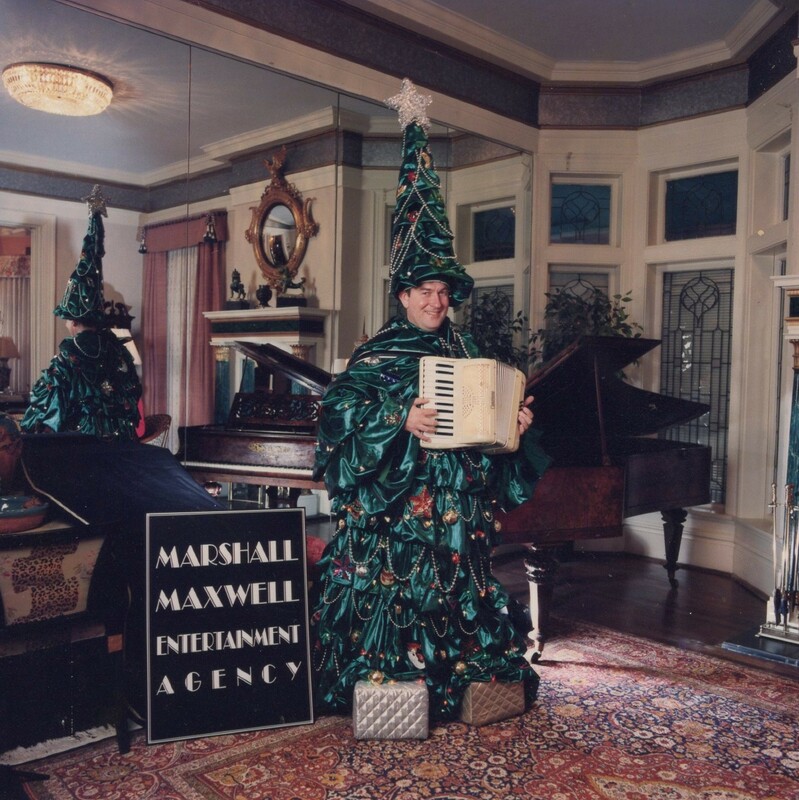 Thank you, Houston for another joyous holiday season, and all of us at Marshall Maxwell Entertainment Agency can’t wait to serve you in 2018! ← STIR IT UP IN VEGAS! STIR IT UP IN VEGAS!